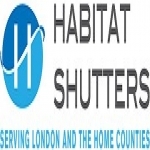 Your local shutter experts and one of London's premier custom made plantation shutter suppliers and installers. We can fit shutters to almost any type of window, including bay windows. We can even fit shutters to your bi-folding patio doors. Our firm is Trading Standards Approved and Members Of The Guild Of Master Craftsmen and we pride ourselves on giving our clients a pleasurable and stress free buying experience. We employ an experienced team of carpenters and surveyors who ensure everything runs smoothly and with the minimum of fuss from start to finish. We never pressurise our customers into placing orders and treat you with honesty, respect and courtesy. We offer value for money and hope our clients tell their family, friends and neighbours about our products and services. For total piece of mind we also carry £5 million of public liability insurance so can can buy with confidence in the knowledge of dealing with a professional local business.